I guess I dropped the ball on this one, as I’ve done a Bronze Beauty entry for pretty much every superhero movie as its come out up til’ THE AMAZING SPIDER-MAN. Maybe I just felt, like so many other people, that Marc Webb’s reboot was at best a tad premature, at worst, completely unnecessary. I saw the movie this week, and it was okay, but there was a bit too much “been there, done that” feel to parts of the film. 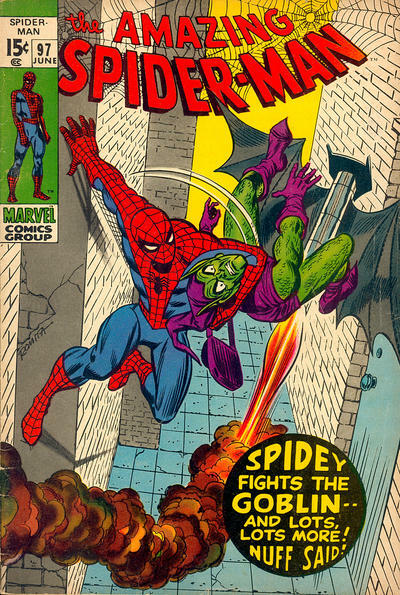 Still, if you were a superhero comics fan in the 1970s, odds are you were reading Marvel’s THE AMAZING SPIDER-MAN. 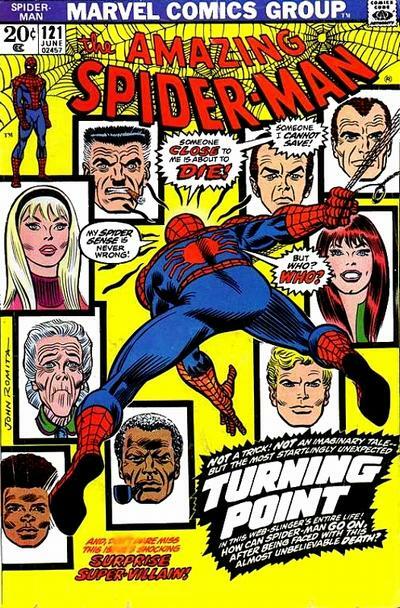 Co-creator Steve Ditko had left the book, turning the artistic reins over to some of the era’s greatest draftsmen, including John Romita, Gil Kane and Ross Andru. When Stan Lee turned the writing chores over to successors as well, Peter Parker went through some major changes. 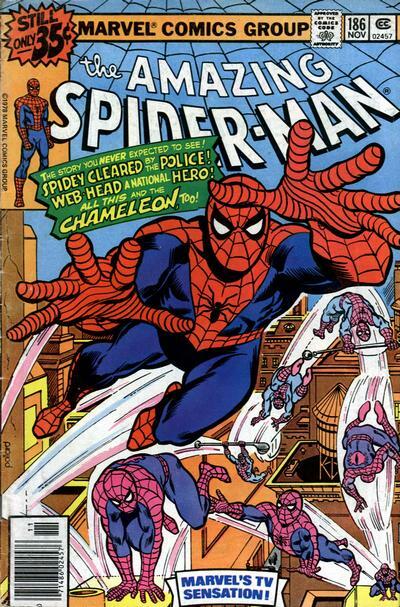 He went to college, suffered the losses of his girlfriend Gwen Stacy and her father, police captain George Stacy, his best pal became a drug addict and then his worst enemy. 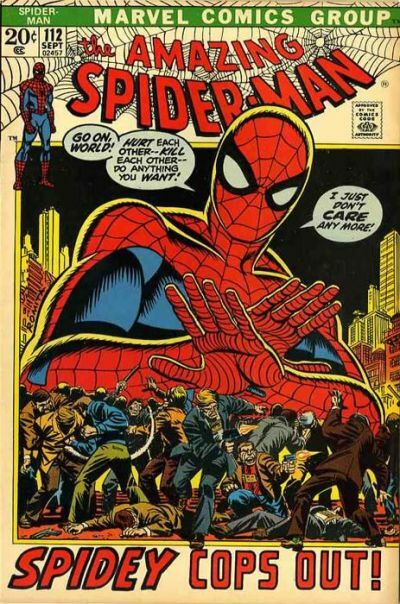 The comics dealt with social issues, there were some crazy cool villains and Mary Jane Watson came into her own. It was a good time to be following the web-head. 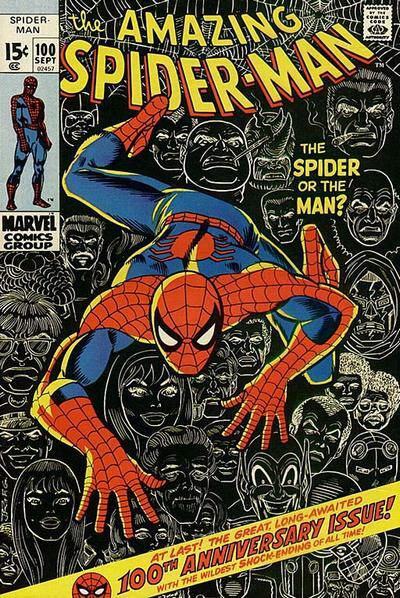 In this issue, Peter Parker concocts a serum designed to take away his spider abilities, only things don’t go as planned and Spidey grows four extra arms, making him a true human arachnid! The most angsty hero of all calls it quits again. I adapted this cover for an illustration accompanying an excerpt from Stan Lee’s biography for COMIC BOOK ARTIST MAGAZINE Vol.2 #1 in 2002. 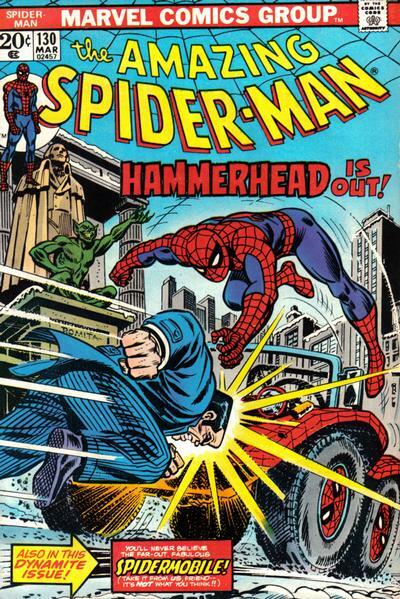 In the 1970s, it was not uncommon for publishers to shoehorn licensed toys into storylines of characters, regardless of whether or not the new accessory made sense. Hence, the Spider-Mobile! Spidey’s urban dune buggie only lasted for a few issues, however, and man, I wish I had a Matchbox or Hot Wheels of this thing! 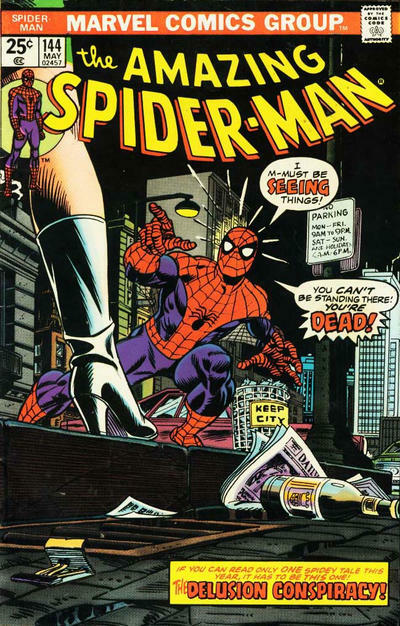 Gwen seemingly came back from the dead in the beginning of a year-long storyline that was one of the most pivotal of Spider-Man’s bronze era (and a huge event for me in 6th grade).